Who doesn’t love to take photographs while traveling? It is natural to want to commemorate your travels and have a memento of your travels, and today, taking high-quality photographs on the go is easier than it ever has been before. All you need is the right camera, and you’re ready to go. As you might expect in these days of digital photography, there are more options available than can even be counted. For that reason, we decided to do the legwork for you. We’ve scoured the available products and tested them out to provide you with our list of the 10 best travel cameras. But before we reveal them to you, let’s run through some of the most important features and qualities to keep in mind as you shop. Camera features have grown increasingly sophisticated in recent years. Here are some of the things you should consider when you are deciding which camera to buy. Since we’re talking about travel cameras, weight is very important. A camera that seems manageable when you’re just setting out in the morning may feel like a brick after you’ve been on your feet for eight hours. Think about how much weight you want to carry and choose accordingly. Picture quality is extremely important and you’ll want to get a camera with the best resolution possible for the price you can afford. Some tourists prefer a point-and-shoot camera with automatic features so they don’t have to fuss around with focus. Others want to be able to customize everything. You’ll have to consider which options are important to you before you make your choice. Depending on where you are traveling and how you intend to use your camera, you may want to choose a waterproof option. That way if you get hit by a rogue wave or get caught in a rainstorm, your camera will be protected. Cameras with big sensors offer the most versatility when it comes to taking quality photographs. You may want to check out the sensor if you think you’ll be shooting in low light or challenging situations – it can make a big difference in the quality of your photographs. If you think you’ll be taking a lot of photos from a distance – as you would at a concert venue – then you’ll want to get a camera with a powerful zoom. If landscapes are your thing, then choosing a camera with a panoramic setting may make sense. Finally, you’ll need to think about price. Portable cameras can range from less than $100 to over $1000, so there’s a wide range to choose from. Now that you know what to keep in mind as you shop, here are our pics for the 10 best travel cameras for 2018. This camera has a 4X optical zoom to help you capture faraway images. The camera is very lightweight, weighing in at just 4.2 ounces. No technical expertise is required to operate this camera, making it a good choice for tourists. The battery life leaves something to be desired, so it may be worthwhile to invest in a portable charger. This camera doesn’t offer much in the way of customizable settings. It’s difficult to turn off captioning on this camera. We like this camera for its lightweight design and affordable price. 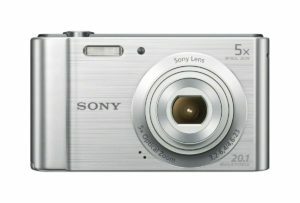 20.1 megapixel camera has an 8X zoom for those hard-to-get pictures. In addition to taking still pictures, this camera can shoot HD video. Picture and beauty effects allow you to make the most of every photo you take. There is a slight lag between when you press the button to take a picture and when the picture actually snaps. No memory card is included with this camera. The battery life could be longer than it is. 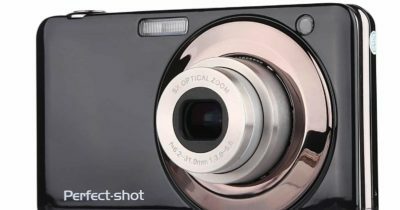 On the whole, we like this camera for its built-in picture enhancement features and low price. Optical Image Stabilizer helps to prevent blurry pictures by keeping the camera still. Multiple creative options and effects are included with this camera. At only 4.5 ounces, this is a very lightweight camera for travel. This camera does not take panoramic photos. The AUTO feature means that there is very little you can do to adjust the settings. It can be difficult to get the photos to focus when you use the zoom feature. We like this camera for its affordability – and it makes an excellent starter camera for the budding photographer in your family. 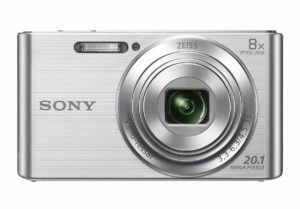 This camera comes with Sony’s MP Super HAD CCD sensor for beautifully detailed images. Image stabilizer helps ensure that the pictures you take are always clear. Takes 720p HD video as well as still photographs. The cluster control button is very small and may be difficult for people with large hands to use. This camera takes great outdoor shots but doesn’t work as well indoors. The focusing in video mode does not work as well as it does when taking still photographs. On the whole, we like this camera because it’s lightweight and affordable. Anti-shake mechanism and face detection help ensure that photos come out crisp and clear. Comes with Pho Tags software to edit and improve the shots you take. Very small size makes this camera highly portable and easy to carry. 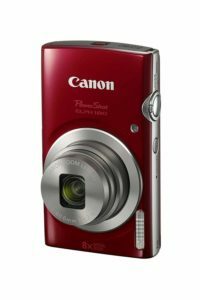 This camera has a very small storage capacity and you absolutely need to buy a memory card separately. The included instructions are difficult to understand. 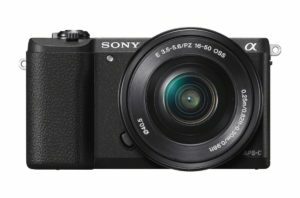 The main points in this camera’s favor are its very affordable price and small size, making it ideal if you want to travel light. 50X optical zoom allows you to capture images far away as easily as you do close-ups. Shoots 1080p HD video as easily and clearly as it shoots still photographs. 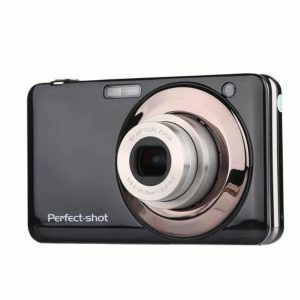 The three-inch LCD screen lets you easily view your photos and videos after you shoot them. The LCD screen doesn’t flip around, which means that you can’t use it to compose shots or watch video as you’re recording it. This is one of the heavier cameras on our list, weighing in at just under a pound. Some of the products available may be refurbished, and so may not come with the manufacturer’s original accessories. On the whole, we like this camera because it offers a lot of power and options at an affordable price. Easy-to-use features include anti-shake capabilities, face detection, smile capture, and more. 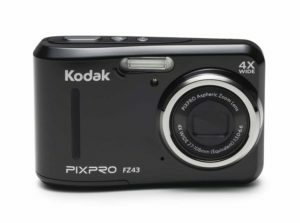 Super-small and lightweight camera can easily fit into a pocket or purse. Shoots HD video as well as regular photographs. The camera doesn’t come with much storage, so you’ll need to buy a memory card to be able to use it on the go. 16 megapixel resolution is good but not great. The built-in flash may not always engage when you need it. All in all, we like this camera because it is extremely simple to use and its portability makes it a great choice for travelers. Anti-shake mechanism provides control and clarity at all times. The camera holds up to a 32 GB memory card for enhance storage. Comes with free photo editing software to help you manipulate your images easily. There is no memory card included with this camera, so you will have to buy one separately. Works best when there is a lot of natural light present, and not so well in dark spaces. The instructions included are limited and may take some time to figure out. On the whole, we like this camera because it is very lightweight and affordable, and a good solution for people who want a simple travel camera. Ultra-fast automatic focus feature ensures that your shots will be crisp and clear. 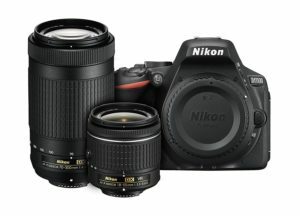 Records full 1080p HD video as well as taking excellent photographs. Long-lasting battery allows you to take up to 400 photos before recharging. While the price of this camera isn’t outrageous, there are definitely more affordable options to be found. With prolonged video shooting, the camera does heat up a little bit. This camera does not have a photo stabilization feature. All in all, we love this camera for its long battery life and ultra-fast focus. 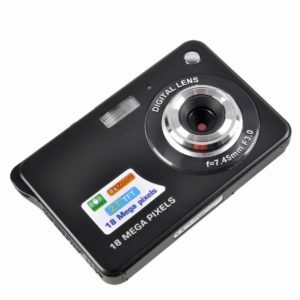 This camera has a 24.2 megapixel sensor for extremely clear and sharp photographs. Built-in camera filters and effects allow you to get creative as you document your travels. Comes with built-in WiFi for easy transfer of pictures when you get home. At just under 15 ounces, this is one of the heavier cameras on our list. 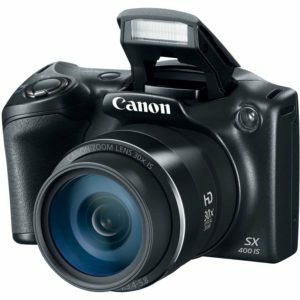 This camera is not cheap, although it’s still quite affordable compared to most professional cameras. Because it requires a bit of practice to master this camera, it’s probably not the best choice for beginner photographers. This camera is terrific if you want something versatile with plenty of options for professional-looking photographs. Choosing the right travel camera is essential if you want to capture your experiences in the moment. The 10 cameras on our list provide something for every traveler, regardless of their experience level.